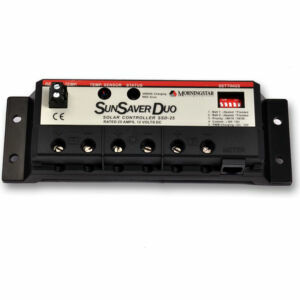 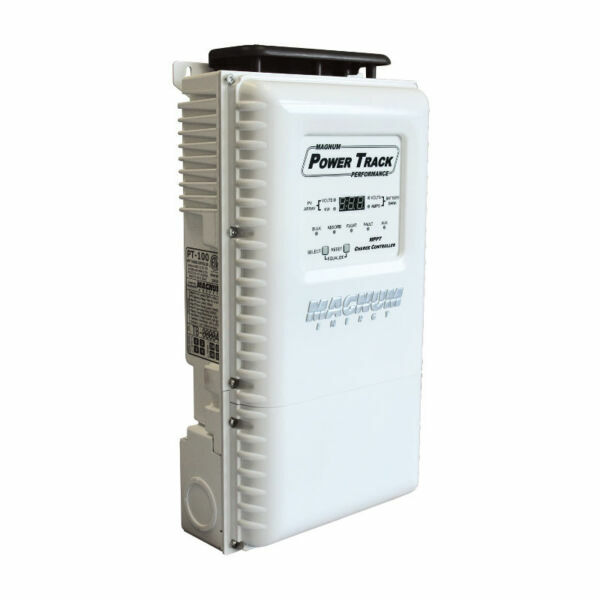 Morningstar SunSaver Duo SSD-25 - Solacity Inc.
Morningstar SunSaver Duo ™ is an advanced PWM two battery controller for RVs, caravans, boats and cottages. 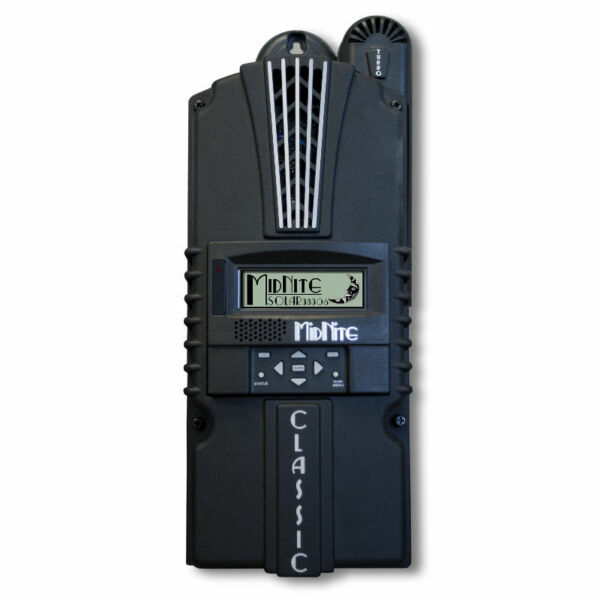 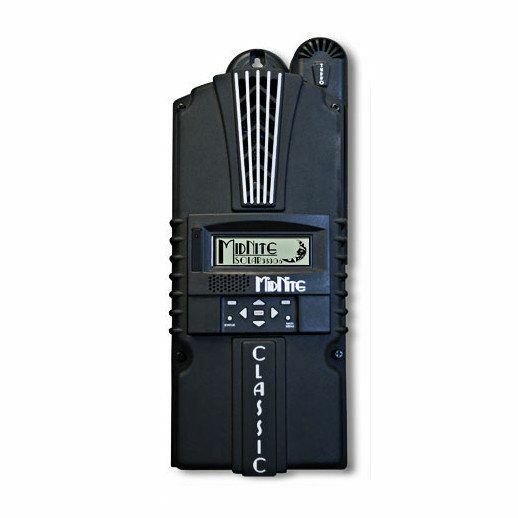 The unit is designed for 25 Amps at 12VDC, charging two separate and isolated batteries at the same time, such as a “house” and an engine battery, based on user selectable priorities. 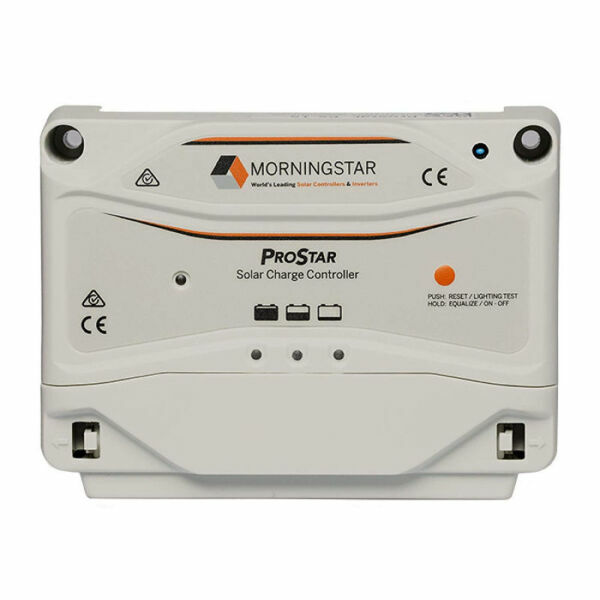 record for high reliability and improved battery charging is well-recognized in the solar industry. 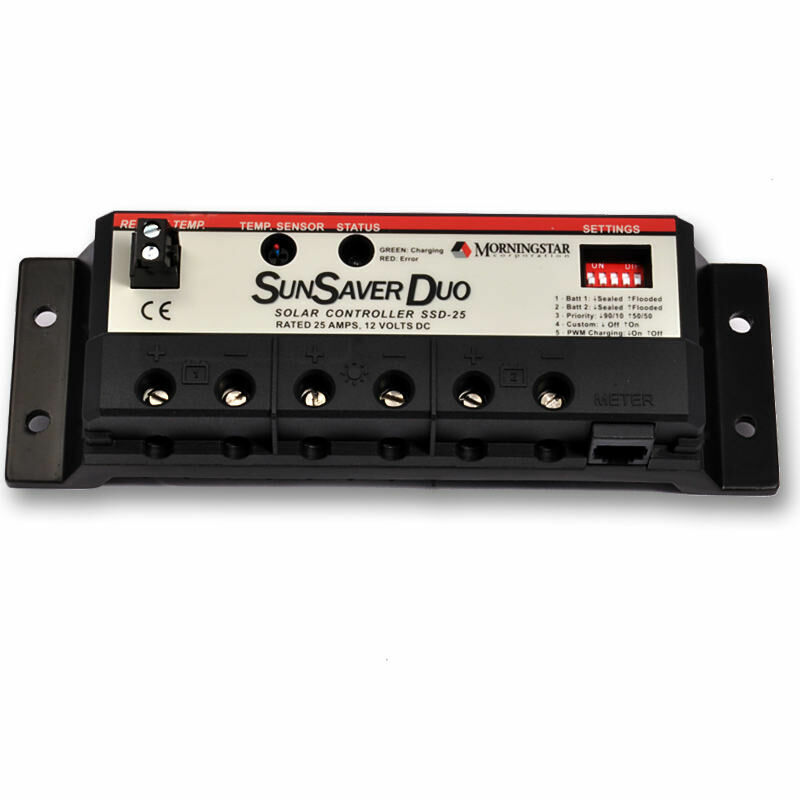 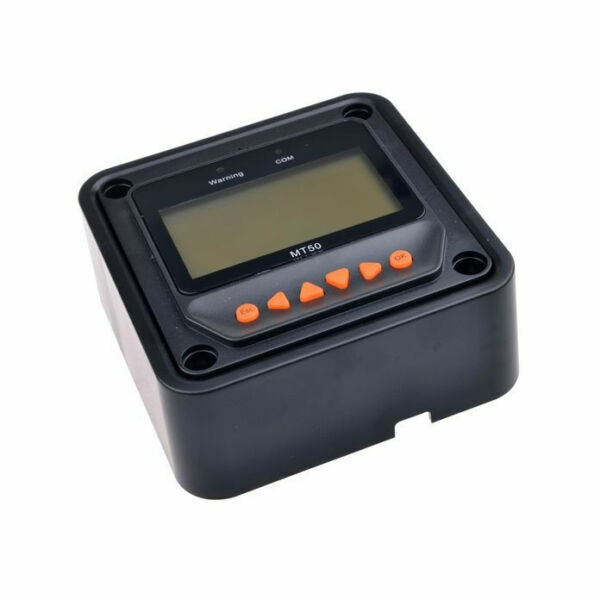 The SunSaver Duo is epoxy encapsulated for environmental protection, is user adjustable via DIP switch or connection to a personal computer, and has an optional remote temperature sensor.